Blazer ammo comes from CCI, part of the ATK family of brands. It also includes ammo like Speer Lawman and Federal American Eagle. 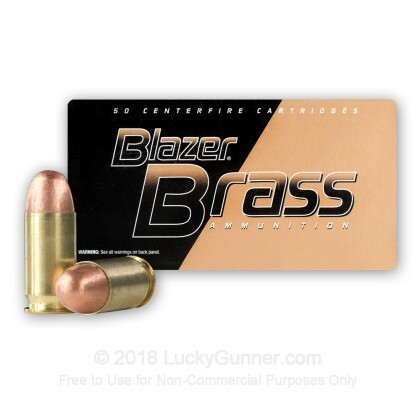 Blazer is part of CCI's line of lower cost range and training ammo, and is available in both brass and aluminum case varieties. 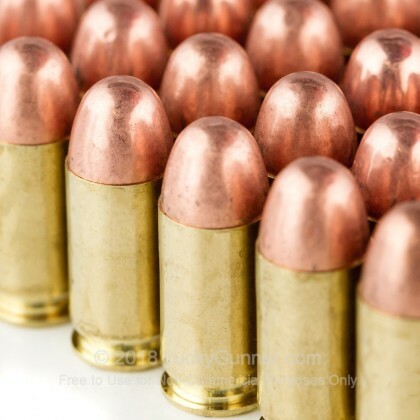 For this test, we use Blazer Brass in 45 ACP with a 230 grain full metal jacket bullet. Reliability was great and the ammo gave us no problems in any of our six test pistols. We tested accuracy from a bench rest at 15 yards using a Springfield XDM, and got just about every round through the one ragged hole just left of center. 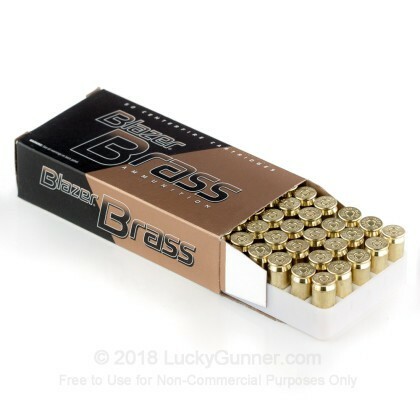 Blazer Brass is a great, low cost option for shooters who like to reload. Most brands of brass cased ammo worked just fine in my reloading press, but I seem to have gotten some of the most consistent results from Blazer Brass. Because of the low cost and consistent performance, Blazer Brass makes a great choice for everyday practice ammo. OK For shooting paper. Bullets are not true FMJ they are copper plated lead & they use small pistol primers . Considering this I think the price should be much lower. Stumbled upon this site by chance. Saw a great deal on the .45 and decided to take a chance. After verifying they could ship to CA I ordered it. Ammo arrived on time and even the box was in good shape. Go FedEx! Great job Lucky Gunner! This is a good clean all around ammo. Range safe for picky ranges. shot two boxes of this in a springfield mod2 and a colt 1911 my dad carried in world war 2. absolutely no problems. not the cleanest i've shot,but not the worst,either. price was really good and service as always, excellent. Very pleased with LG, ammo, & delivery! Couldn't beat the value. I researched and couldn't find a better deal. Went thru 250 rds, performed with no problems. Ordered on a Sat, delivered Fri. I like Fed Ex better than UPS. I was very pleased with the rate and expedience of the service. The shipment arrived in a timely manner and free from damage. All of the cartridges were in good condition. I fired all 1,000 rounds at an instructor course without a single stoppage due to ammunition. Very impressed. I'm already sending people to the site. I bought this ammo for my Thompson M1A1 SBR. It has not failed to feed once out of 430 rounds shot so far. (I bought 1000) This was my first time using Lucky Gunner and it won't be the last! Thanx guys! I shot many rounds and not one failure, jam, or feed problem. Good product where I will be ordering more from Lucky Gunner. Flawless! No glitches whatsoever. And, as usual, the fastest delivery of any ammo supplier. Perfect ammo for what I needed and delivered extremely fast. This is some good ammo for range shooting. Interesting this stuff is primed with small pistol primers! I have fired to date about 500 rounds of this Blazer Brass .45 through several different 1911s (all properly broken in). Not a single hiccup so far! It is also rather accurate. 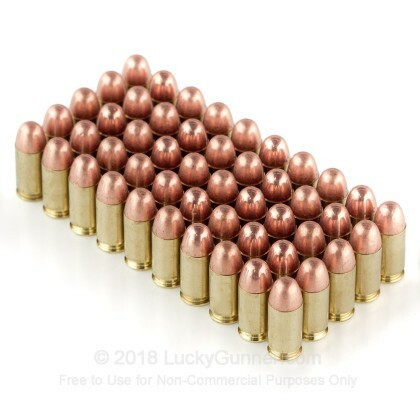 I recommend this ammo to others and I will continue to be buying more of it. Worked well in my 1911's, and RI2011 Tactical. Shot about 250 rounds, with no miss fires. I have purchased a lot of Ammo from Lucky Gunner and it all has been on the plus side. This blazer brass is a great product but a little on the dirty side, that's no big deal. I ordered this product and had it at my door in less than 48 hours. I order a lot of stuff on the Internet, and Lucky Gunner has them all beat. About 4 hours after I ordered, I got an email with a lower sale price, so I emailed Customer Service. I got an almost immediate response and a store credit for the difference. These folks are the best and have all my future business. 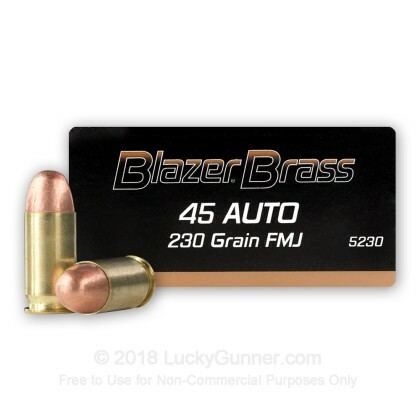 Great price and delivery on 230gr FMJ Blazer Brass ammo! Thanks Lucky Gunner! I shot about 100 rounds with no problem through my FNX 45 Tactical with a suppressor. 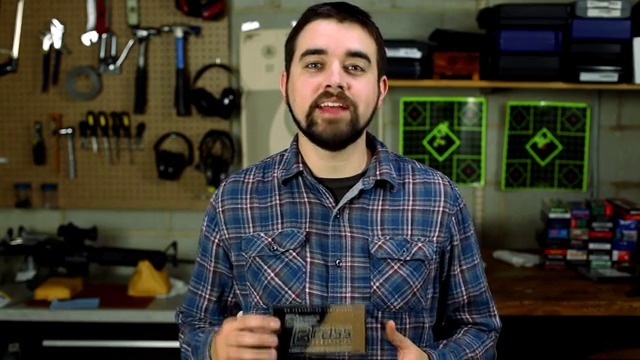 Product works very well and I have not had any failure to fire or failure to eject problems. It may be just a tad on the dirty side but no big deal because always clean my weapon after a day at the range anyway. i use a lot of it. I shot about 50 rounds through my brand new kimber. No problems at all. Works great and like supporting American companies. Get ready to clean your gun. This is some of the dirtiest shooting ammo I have ever used. No FTF's or FTE's, but wow! The black just keeps on coming. I love LG but this is not good stuff. Q: What is the core made of? I have a gun range that will not allow steel or bimetal. A: Hello Scott! 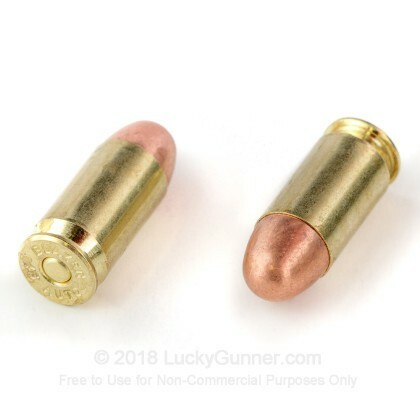 The Blazer brass ammunition uses a copper plated, lead core projectile. This specific round does not contain any steel in the projectile at all. Q: What is the velocity of this ammo. It would be very helpful if the velocity was listed on all of the specification sheets. A: The muzzle velocity on the Blazer Brass 230 gr. FMJ is 830 fps with a muzzle energy of 352 ft. lbs. We also have this 45 ACP - 230 Grain FMJ - Blazer Brass - 50 Rounds ammo in stock in a smaller quantity.